We work with ‘talent’ for a living whether that’s A-list presenters, CEO’s of businesses or people with no presenting experience. Gareth Davies and Leon Campbell are two of the UK’s most experienced and best-known TV Producers. With The Presenter Studio you get to work with and be seen by top industry professionals with over twenty years experience, who have helped create some of the UK’s most successful TV presenters. Gareth’s CV reads like a night out at the BAFTA awards. He’s worked with pretty much all of TV’s biggest presenters, Produced multi-award-winning TV series and is also great fun to work with! Gareth has worked in television for over 20 years. He was part of the original team behind Strictly Come Dancing, and responsible for finding, casting and producing the 4 judges – Arlene Phillips, Craig Revel Horwood, Bruno Tonioli and Len Goodman – all now big BBC faces and internationally known presenters. He worked at the BBC for nearly 10 years before going freelance, Producing shows for ITV, Channel 4, FIVE, the BBC and SKY1. He’s worked on live award-winning entertainment shows like Strictly Come Dancing and So You Think You Can Dance, to newsworthy Channel 4 documentaries like The Man with 80 Wives and Mr Miss World, to chat shows Katie and Peter: Unleashed to breaking stories around the world a Broadcast Journalist/Presenter for BBC NEWS covering the Academy Awards in LA. Travelling all over the world Gareth’s worked with everyone from Hollywood A-listers like Hugh Grant; popstars like Madonna, and TV royalty Sir Bruce Forsyth, and current hot property Christine Bleakley and Claudia Winkleman. Since setting up The Presenter Studio in 2006 Gareth and Leon have also been working their magic in the corporate sector, applying their Producing skills to the world of presentation coaching, media training and keynote speeches. They have worked with some of the worlds biggest brands – Prudential PLC, ASOS, Porsche, Red Bull, The Huffington Post, and The Telegraph. Gareth also has an amazing track record in developing programme ideas for new talent. As an Executive Producer for BBC Development and as Head of Development for many of the UK’s major TV companies Celador Productions, he has won commissions on all the major TV channels. 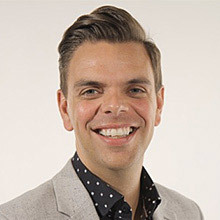 Gareth was also formerly a presenter for BBC NEWS and can now be heard regularly on BBC Radio TWO talking all things TV and popular culture, and has presented at major events including the Orlando benefit concert. Leon Campbell has been in TV for 20 years working with the world’s biggest names including David Beckham, Katherine Jenkins, Leona Lewis, Sir Bruce Forsyth and Dermot O’Leary. He has produced programmes for all the major channels – Big Brother, X Factor, Take Me Out, and I’m A Celebrity Get Me Out of Here, The Restaurant for BBC TWO and Gogglebox. He has also created and produced major entertainment events for The O2 in Greenwich and was a producer on the Opening and Closing Ceremonies at London 2012. Leon began his career working as Producer for the BBC working across a range of genres including Entertainment, Children’s, Arts, Factual Entertainment and Factual before becoming a freelance producer working for several of the UK’s biggest independent television production companies. 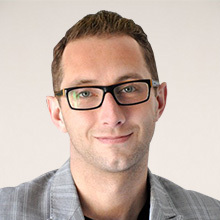 Leon has spent much of his career developing new programme ideas for the major TV networks in the UK for a range of television companies including the BBC, Endemol, IWC, North One , Talkback, Thames and Shine. Leon is also a former presenter having had his own show on Nickelodeon TV, and is often seen as a guest on Big Brothers Bit on the Side on Channel FIVE. His guilty pleasure is his own weekly radio show called The Cheese Board on Wandsworth Radio.